Our team will work on the design and provide you a few variations, so that you would be able to choose the one you like the most. Right after that, the hard work begins – we will change all the needed furniture and compose a beautiful image that you have always dreamed of. We only stop when we are convinced, that our customers are already satisfied. Kitchen refurbishment involves a lot of creativity and taste for home interior. However, we always provide our refurbishment services as cheap as we can, because customer satisfaction is our main goal. 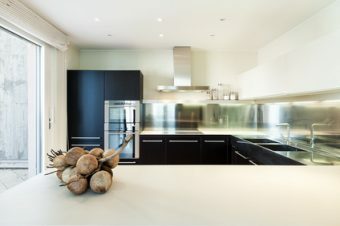 Contact us and we would be glad to make your kitchen room look like new again.